We are a Gas Safe registered plumbing and heating company based in Twickenham. We cover all areas within a 30 mile radius of London including Hampton, Richmond and Teddington. BA Stark Plumbing & Heating specialises in gas boilers, plumbing and heating. We are based in Twickenham and work throughout London and parts of Surrey. We are a small business who pride ourselves on our professionalism, the quality of our work and the level of service that we offer to all of our customers. Ben Stark is an experienced and versatile plumbing and heating engineer with more than 15 years industry experience. We offer a wide range of heating and plumbing services for both domestic and commercial clients. Whether it is an emergency, a repair, time for a new boiler or even a new bathroom, our experienced, professional team are here to help you. 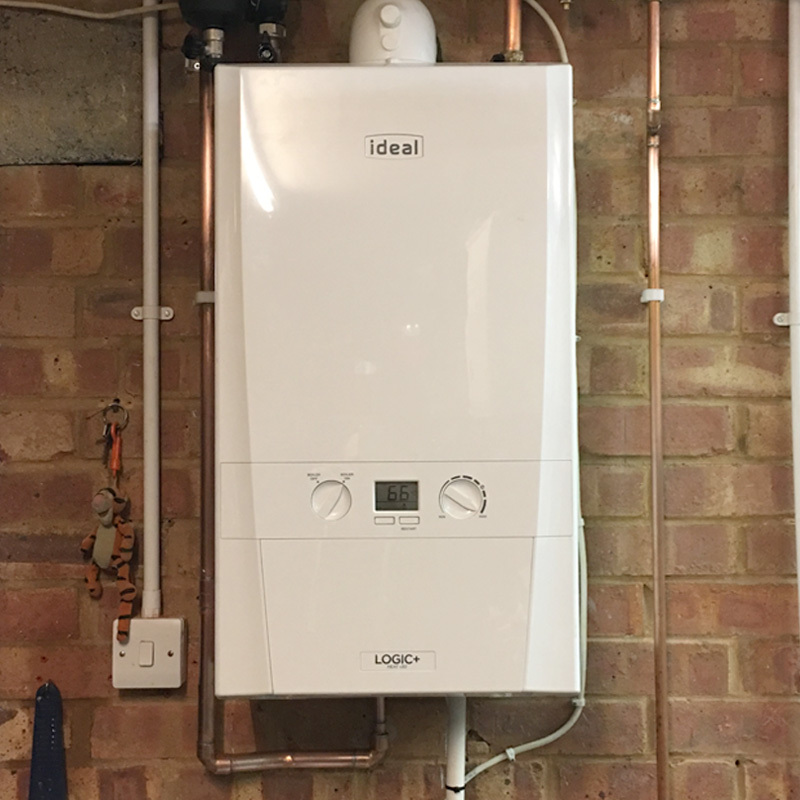 Replacing a boiler can be costly so before we submit a quote we like to talk to you, make an assessment of your home and needs before discussing your options. This means there are no hidden costs and that your quote is tailor made for your needs. You should always get your boiler serviced regularly to make sure it’s working properly. A faulty boiler could be dangerous and waste you money on energy. It is important to note that your warranty may be invalid if you do not service your boiler annually. Need an emergency boiler repair? 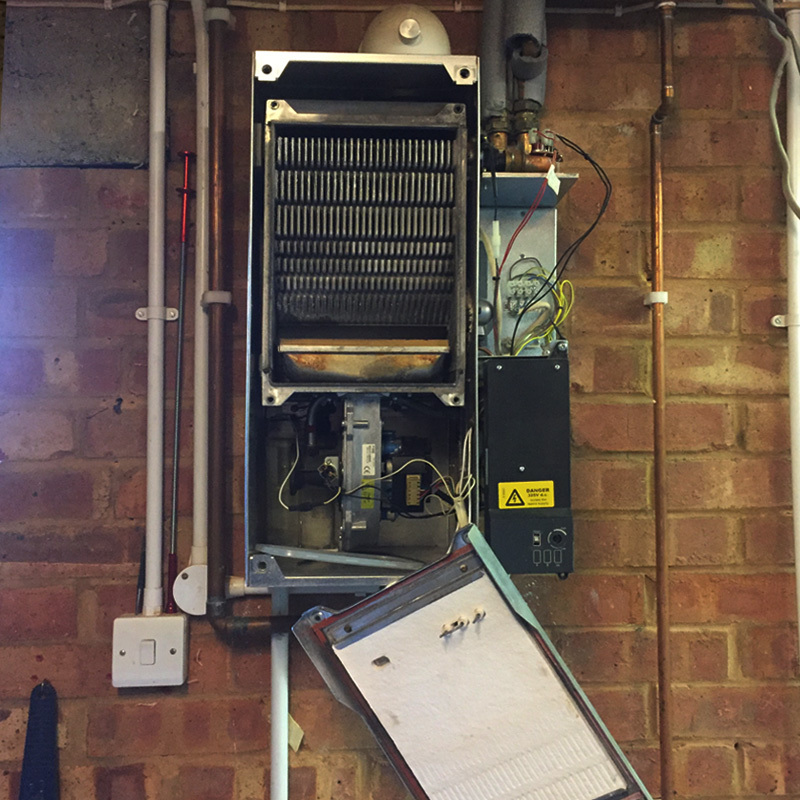 If your boiler breaks downs or develops a fault, it can be a costly repair. We offer competitive boiler repair prices with no hidden costs. To minimise the inconvenience caused, we offer a 24 hour service – seven days a week. Whether it is an plumbing emergency, dripping tap or a quote for a new bathroom, we can cater for all your plumbing needs. There is no such thing as a job too big or small. Whether it is a heating emergency, leaking radiator or a quote for a new heating system, we can cater for all your heating needs. There is no such thing as a job too big or small. Underfloor heating is up to 25% more efficient to run than radiators when used with a condensing boiler and can give your home a sleek, modern feel eliminating the need for radiators. We work with specialists to design, install and maintain your underfloor heating solution. Landlords are under a legal obligation to ensure a gas safety check is carried out every 12 months. For homeowners, it is good practice to ensure your gas appliances are safe and working correctly. 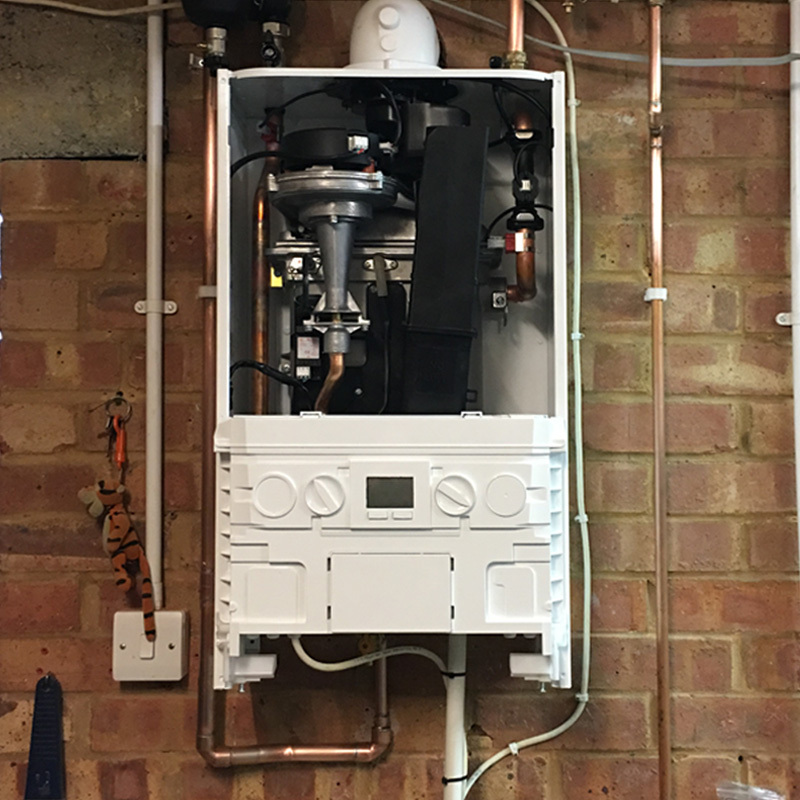 The estimate for your new boiler installation includes everything you will need: the boiler itself, the removal of the old one and any plumbing work including moving pipes. Renovations and repairs can be expensive. We believe in transparency when it comes to cost. Our rates are clear and competitive and you will only pay from the moment we start working for you – we even offer half hourly charging (minimum charge 1 hour). Landlords are under a legal obligation to ensure a gas safety check is carried out every 12 months and only by a Gas Safe registered engineer. For homeowners, whilst not essential, in conjunction with a service a regular gas safety check is good practice for ensuring your gas appliances are safe and working correctly. Our checks ensure landlords meet any legal obligations & provide safety and peace of mind for both homeowners and tenants. This contains the results of the gas safety checks, and is supplemented with records of any action taken as a result of the checks. Your boiler should be serviced regularly to make sure it’s working properly. A faulty boiler could waste you money on energy and even become dangerous and may invalidate your warranty if not carried out annually. You must get them serviced by a Gas Safe Registered engineer once a year. We complete a comprehensive check list to ensure that your boiler is working correctly and safe in line with manufacturers guidelines. 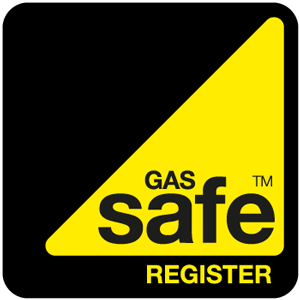 All our engineers are approved by the Gas Safe Register, the UK’s official registration body. Having problems with your old boiler? If you are looking to replace your current boiler, please get in touch to talk through your options and request a free quote. When you’re looking for a gas engineer, checking if they’re on the Gas Safe Register is the surest route to safety for you and your family. It is the only list of engineers qualified to work legally on gas appliances. Don’t take our word for it though. Checkatrade ran strict background checks on us before we could become a member. This means you can be confident that we are the right team for the job. Whether your needs are small or large we can help with interior and exterior carpentry for your home or business. We offer knowledge and expertise gained from a wide range of projects from renovations to home improvements. Whether you’re simply redecorating or thinking of renovating, we can help flooring and tiling to suit your home. Our professional experienced partners will manage your loft conversion project from the initial design to to completion. We work closely with a variety of experienced, professional, London-based skilled tradespeople who set a consistently high standard in services and workmanship. We are based in Twickenham and cover all areas within a 30 mile radius of London including Hampton, Richmond and Teddington.